California and Texas, widely naturalized in southern and eastern Australia. GBIF also shows locations in Western Australia and Central America. USDA ARS simply says naturalized without specifying where. Naturalized in two California counties. Some locations in Australia match California's climate. A weed of roadsides, disturbed sites, waste areas, higher quality pastures, grasslands, rangelands and open woodlands in temperate, sub-tropical and semi-arid regions. Listed as a noxious weed in South Australia, where it is required to be controlled. Also considered invasive in New South Wales, Queensland, Victoria, W. Australia. A weed of roadsides, disturbed sites, waste areas, higher quality pastures, grasslands, rangelands and open woodlands in temperate, sub-tropical and semi-arid regions. Listed as a noxious weed in South Australia, where it is required to be controlled. Also considered invasive in New South Wales, Queensland, Victoria, W. Australia. A weed of roadsides, disturbed sites, waste areas, higher quality pastures, grasslands, rangelands and open woodlands in temperate, sub-tropical and semi-arid regions. Many locations in Australia match California. Spreading rapidly in southeastern Australia where it reduces the richness of native plants. McArdle, S.L.., Nadolny C.., & Sindel B.M.. (2004). 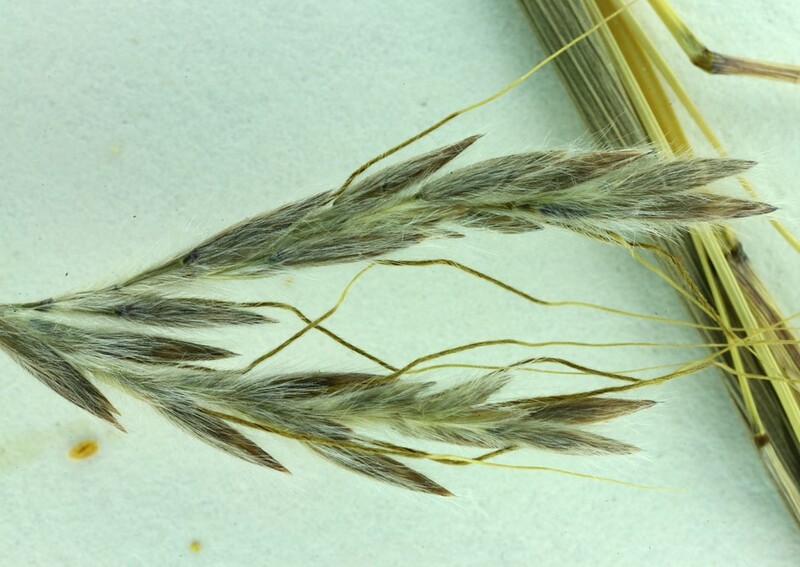 Invasion of native vegetation by Coolatai Grass Hyparrhenia hirta: impacts on native vegetation and management implications. Pacific Conservation Biology. 10, 49–56. There are 15 other species listed in the Global Compendium of Weeds, mostly noted only as naturalized. Hyparrhenia rufa is the only other species with a number of citations. It is a problem in tropical South America, but this seems more tropical than California. Hyparrhenia rufa subsp. rufa is an environmental weed in Queensland and other parts of northern Australia but that does not match California's climate. Spreading rapidly in southeastern Australia where it reduces the richness of native plants. Diversity and ground cover of native vascular plants are significantly reduced by heavy infestations of Hyparrhenia hirta. "Not favored by livestock but a useful feed if not allowed to seed." Was originally introduced as a forage grass. Forms dense infestations. Can grow as tall as 1.5m. Since it's a grass, it's difficult to say if infestations are impenetrable (compared to a shrub of that same height). Reproduces mainly by seed. The seed-heads are large leafy compound clusters (i.e. synflorescences) 15-40 cm or more long. Could not find information but a short juvenile period seems likely as it's a grass. Flowers March-July in California. In Australia, flowering occurs throughout the year, but mainly during summer. Animals may disperse short distances (but no mention of longer dispersal). Can be spread short distances by wind, can float in water. Answering no because unsure how important these types of dispersal are. Dispersed by vehicles, in mud, and in contaminated fodder. Spreads more rapidly along roads than away from roads, suggesting that seeds are being dispersed by vehicles (or the wind they generate) or road maintenance equipment.